Monarch Air Group provides private air charter in Key West, FL. Our clients benefit from top-notch service, unrelenting dedication to safety, wide selection of aircraft, and years of experience in chartering private jets. To obtain a free quote, please use our online quoting tool provided below, or call toll free 1-877-281-3051. Monarch Air Group offers private jet charter flights to and from Key West, Florida. Key West is a small resort full island of Florida. Key West is the southernmost point in the US located just 90 miles from the shores of Cuba. 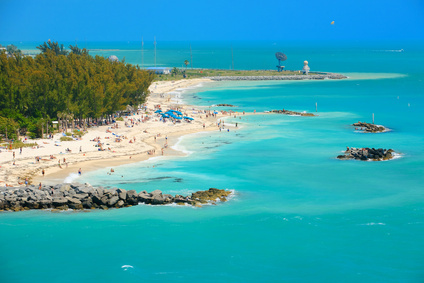 Situated near Miami, Key West is known for being a cruise port, tourist destination and halfway sign for journeys to the Bahamas. Key West is served by two different airports, and three boat ports. It provides its visitors with great shopping, fine dining, and vibrant nightlife. If you’re thinking about going to Key West you should stay and head north to Key Largo or Miami so you can discover the whole island.